Usually when we think of electric cars we think of Nissan, Chevy or Toyota on the low-mid-end, and Tesla on the high end. With the market exploding the way it is however, many more luxury brands are beginning to enter the market and give electric cars a shot. One of such luxury manufacturer is Cadillac. The new Cadillac CT6 PHEV gets over 60km of range just from the included 18.4 kilowatt-hour lithium-ion battery, and combined with the 2-liter turbo four-cylinder engine can provide 335 brake horsepower and 432 pound-feet of torque. The car can be charged using a standard 220 volt charger, so you shouldn’t have any issues finding adequate stations to fill this up. GoPro halts Karma sales, recalls drone over power issue – all unit’s grounded! Cadillac was very particular about the launch performance of this particular vehicle, and opted to use an all new rear wheel electric variable transmission with specially designed motors to provide smooth acceleration for its drivers. They also included 3 different operating modes in the CT6 PTEV: Normal, Sport, and Hold. Each have quite different performance and fuel savings abilities and we will list them here. The CT6 PHEV also includes a feature Cadillac is calling “Region-On-Demand” which uses momentum from the vehicle to slowly charge the internal battery. This feature allows the driver to charge the internal battery over a long trip and switch between electric and engine-based driving over time. The CT6 touts a number of smart driving features as well, including lane assist and collision detection to help keep the driver and any passengers safe from harm. Along with this, the new wide angle lens present on the back of the car should assist drivers in backing up safely while being more aware of objects around them. 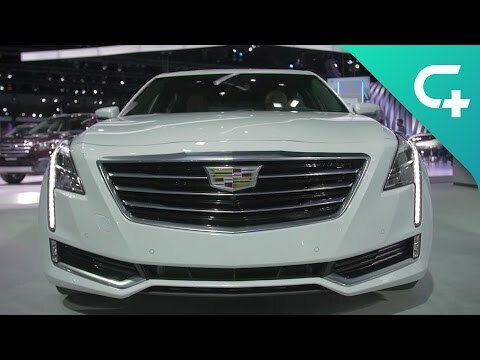 Cadillac says to expect the new vehicle in late Spring of 2017, so make sure to keep your eyes on Charged.io for all the latest updates.